Federal officials earlier this year floated the idea of keeping the $500 million treatment plant running in Idaho with waste from other states. The bulk of that would have been 8,000 cubic yards of radioactive waste from Hanford in Washington state. 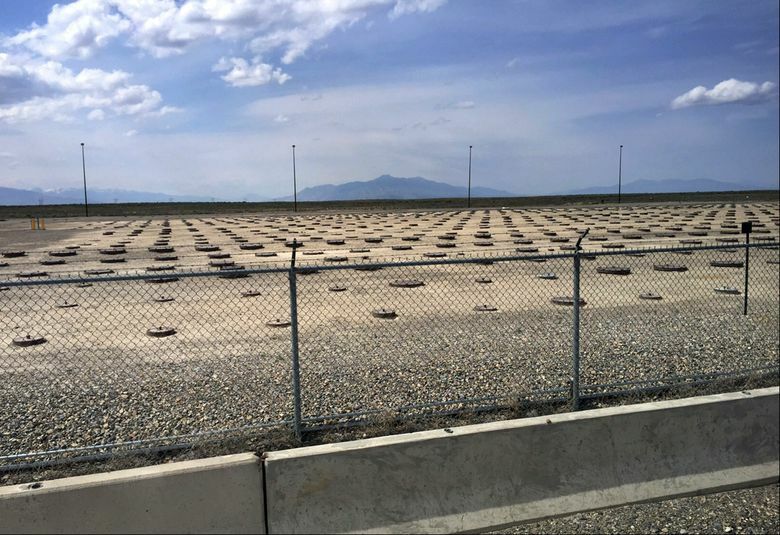 BOISE, Idaho — Federal officials will shut down an Idaho nuclear-waste treatment project after determining it would not be economically feasible to bring in radioactive waste from other states. The U.S. Department of Energy in documents made public this week said the Advanced Mixed Waste Treatment Project that employs 650 workers will end next year. Officials said workers are wrapping up processing 85,000 cubic yards of radioactive waste at the department’s 890-square-mile site that includes the Idaho National Laboratory. A $500 million treatment plant handles transuranic waste that includes work clothing, rags, machine parts and tools that have been contaminated with plutonium and other radioactive elements. The U.S. Nuclear Regulatory Commission says transuranic wastes take much longer to decay and are the most radioactive hazard in high-level waste after 1,000 years. The Energy Department said that before the cleanup began, Idaho had the largest stockpile of transuranic waste of any of the agency’s facilities. Court battles between Idaho and the federal government culminated with a 1995 agreement requiring the Energy Department to clean up the Idaho site. The Idaho treatment plant compacts the transuranic waste, making it easier to ship and put into long-term storage at the Waste Isolation Pilot Plant in New Mexico. Federal officials earlier this year floated the idea of keeping the $500 million treatment plant running in Idaho with waste from other states. The bulk of that would have been 8,000 cubic yards (6,100 cubic meters) of radioactive waste from a former nuclear weapons production area in Hanford in Washington state. Local officials and politicians generally supported the idea because of the good-paying jobs. The Snake River Alliance, an Idaho-based nuclear watchdog group, said it had concerns the nuclear waste brought to Idaho would never leave. A 38-page economic analysis the Department of Energy completed in August and released this week found “it does not appear to be cost effective due to packaging and transportation challenges in shipping waste” to Idaho. The agency said it would also consider voluntary separation incentives for workers. With the Idaho treatment plant scheduled to shut down, it’s not clear how the transuranic waste at Hanford and other sites will be dealt with. The Energy Department “will continue to work to ensure a path forward for packaging and certification of TRU (transuranic) waste at Hanford and other sites,” the agency said in the email to the AP. The Post Register first reported the closure.